ghd had invested considerable resources into the ghdhair.com website and wanted to make sure it was getting the most out of its investment. So, ghd asked Eggplant to perform a Web Performance Health Check using its Performance Analyzer and performance monitoring tools. 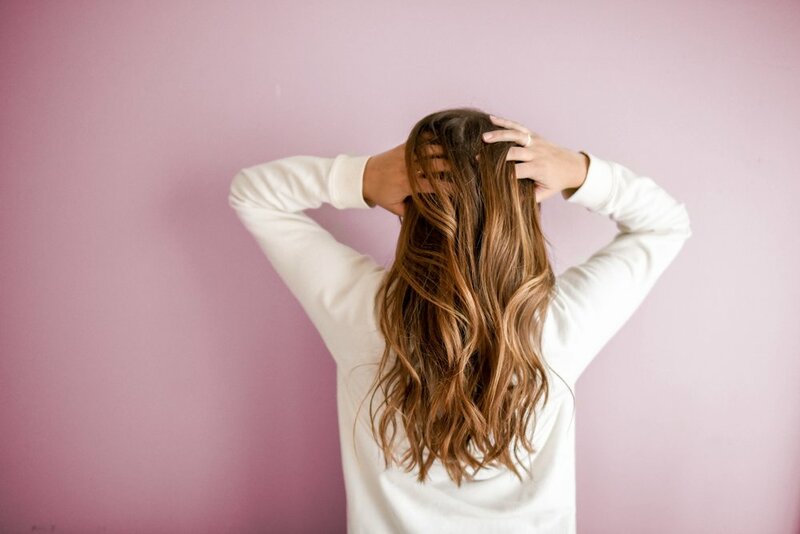 The nature of ghd’s business meant that a stylish, visually appealing website was essential, and they were confident that the site they'd built was both attractive and easy to use. They were happy with the look. They were happy with the functionality. But they were well aware that this was not the whole story. They were keen to provide the best possible experience to customers, and this meant making the site faster. Consistent, reliable results were essential, and Eggplant’s carefully controlled connectivity meant that results were unaffected by ISP slowdowns or fluctuations in exchange performance. 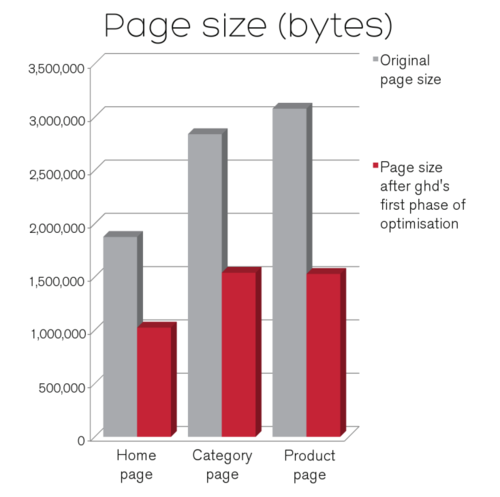 Eggplant’s review revealed that page size was having a massive impact on performance. Visual impact was key to the ghd site, and it contained a lot of imagery. Average page size was around 1,700kB, while average total download time on a 2Mbps connection ranged from 8.83 seconds to 8.96 seconds. Overall performance also lagged behind competitor sites. It was clear from the outset that ghd were fully engaged in the process and understood the importance of performance optimization. So when Eggplant made its recommendations, ghd immediately went to work on implementing them. To get the most out of the process, ghd made sure that all interested parties were involved. These included senior ghd management, as well as representatives from third-party partners, all of whom were there when Eggplant presented its conclusions. Image optimisation was a priority, since it was thought that this would deliver some of the biggest benefits. At the same time, ghd did not want to compromise on visual appeal, and Eggplant was able to show ghd how to achieve drastically reduced file sizes with no noticeable loss of quality. It also carried out a number of other recommendations, such as Gzipping text files. Average total download times fell by 20%. Average render start time fell from 1.1 seconds to an impressive 0.64 seconds. Average page size fell by 24%. ghd has made great progress in cutting page sizes, which has had a huge impact on its bandwidth usage and download speeds.